Normani Kordei Hamilton (born May 31, 1996), recording mononymously as Normani, is an American singer and dancer, best known as a member of the girl group Fifth Harmony, the biggest girl group of this generation, formed in 2012 and has experienced worldwide success with three top 5 albums and multiple awards including four MTV Video Music Awards, two People’s Choice Awards, and an American Music Award. In 2017, she was a contestant in season 24 of Dancing with the Stars. Her first single as a soloist, the duet "Love Lies" with singer Khalid recorded for the soundtrack of the movie Love, Simon, reached number 9 on the US Billboard Hot 100. She is currently working on her debut solo album. Normani grew up in New Orleans before moving to Houston at 9 years old with her family after Hurricane Katrina. 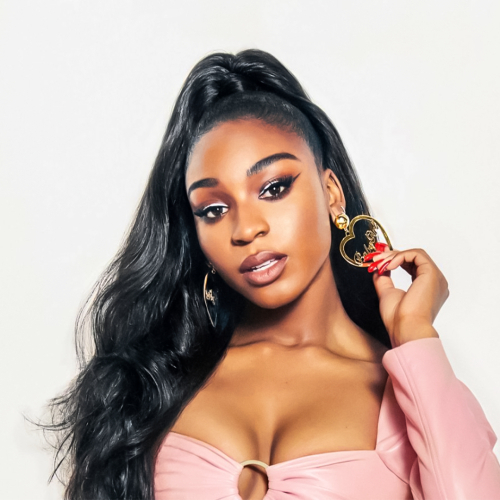 Always excited about music, Normani began dancing at the age of 3 and grew up idolizing entertainers like Janet Jackson, Michael Jackson, and Beyonce. Inspired by her love for Pop and R&B, “Love Lies” offers a closer look to Normani’s personal style as an artist.